Enjoying the sea breeze surrounded by turquoise water is a Majorcan summer experience that you can’t miss while staying at Hotel Ca’n Bonico. 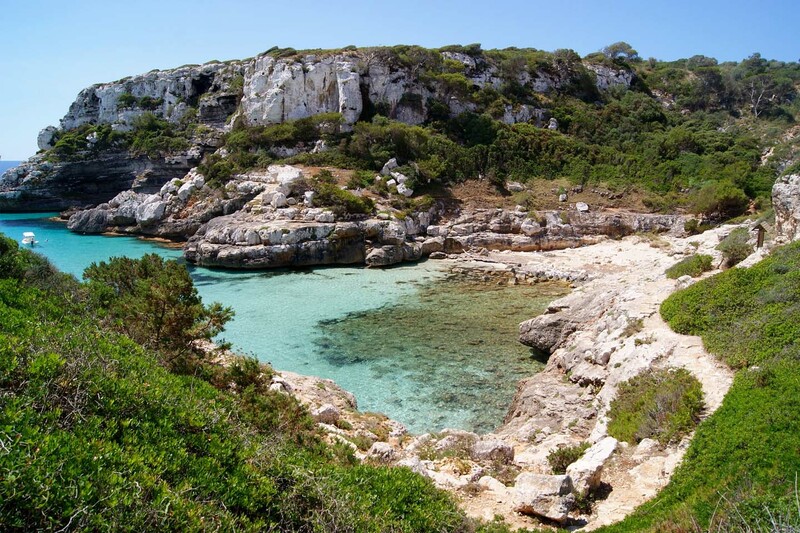 Here is a selection of coves that we think are worth visiting during your stay at our hotel. This white sand cove is surrounded by cliffs, and it has an incredible viewpoint, Es Pontàs, perfect to enjoy the stunning sunsets of the southeast of Mallorca. 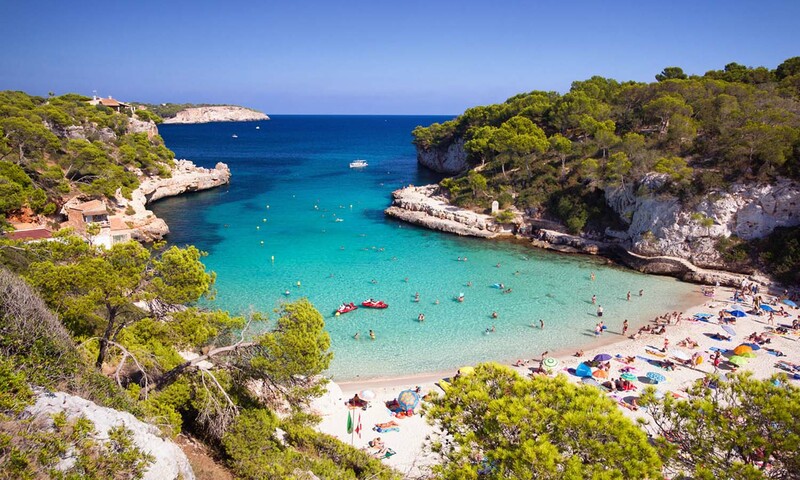 Cala Màrmols, located twenty minutes away from Ca’n Bonico, this is a totally unspoiled place that you can only access by a long walk or boat. 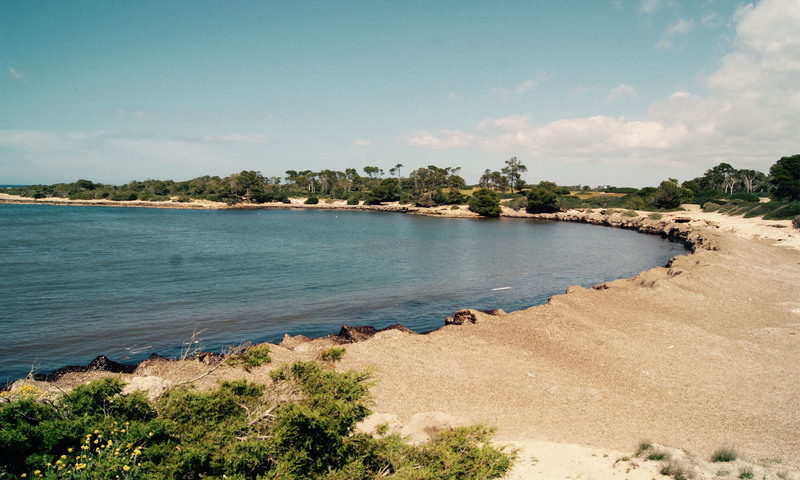 There are several options to reach this magical corner, from the Lighthouse of Ses Salines or from Cala s’Almunia, (you will find two Talaiótic sites if you choose this route). The reward: paradise! 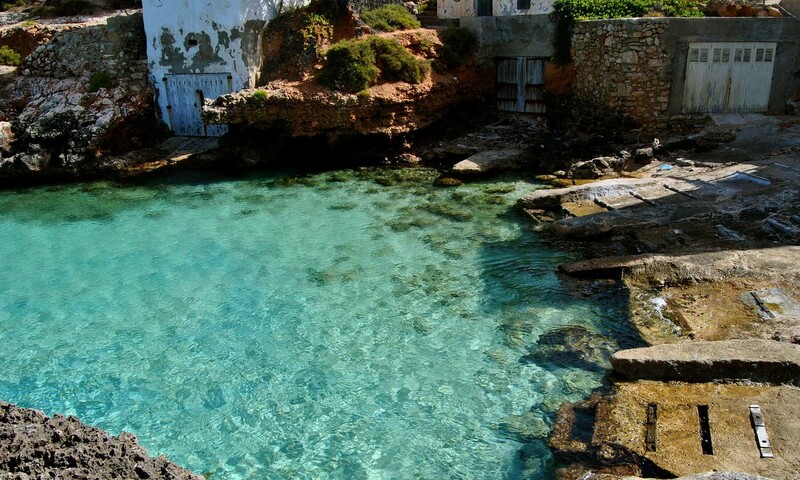 Cala S’Almunia is located about 9.8 kilometers from hotel Ca’n Bonico, about fifteen minutes by car. Cala en Tugores. 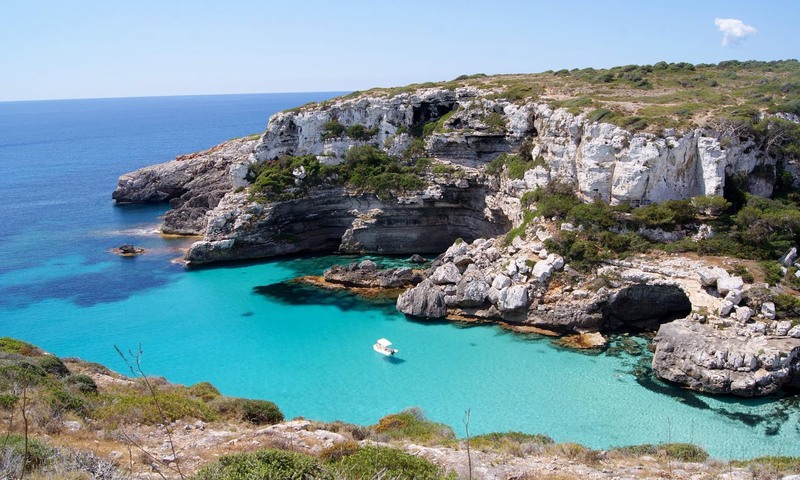 This virgin cove is located between the lighthouse of Ses Salines and Colònia de Sant Jordi, about fifteen minutes from the hotel. Blue, brown and green are the colors that paint this beautiful place visited by many that live in the nearby lake of s’Estany de ses Gambes. Transparent water, pines, junipers and thickets make this cove ideal for a day full of peace and tranquillity. Next PostNext Typical Majorcan dishes: peix a la mallorquina, tumbet, trampó and pa amb oli.